CLARK COUNTY — After hearing loads of negative feedback over a proposal to allow industrial development along part of the Chelatchie Prairie rail line south of Brush Prairie, the county council on Wednesday indicated they’re willing to take a different track. An online survey done after an open house at Hockinson High School over the Freight Rail Dependent Uses advisory committee proposal showed well over 80 percent strongly opposed the idea. 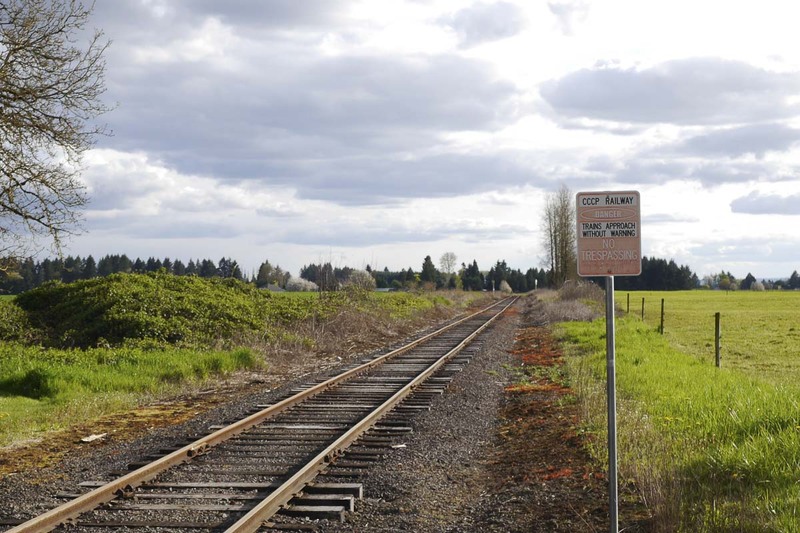 Many of the respondents were upset over the committee’s decision to greatly expand the potential overlay area by increasing the definition of “rail adjacent” to one mile, in an effort to include a rural industrial land bank east of SR-503. “I believe ‘adjacent’ is ‘adjacent meaning you’re right next to it’, and I really can’t — me personally — can’t go across 503 to the rest of the Lagler land and say that’s adjacent,” said Clark County Chair Marc Boldt at a council meeting Wednesday to discuss the proposal. Public comments weren’t heard at the weekly council time meeting, which is intended for councilors to discuss issues and give direction to staff working on resolutions. Councilor Eileen Quiring, who is running for council chair, said she was initially excited at the prospect of bringing new jobs to the area. But after hearing concerns from the public, Quiring said she was open to returning the overlay size to the original council recommendations from January 9, which defined “adjacent” as property within 500 feet of the existing rail line. One issue was the inclusion of heavy industrial in the overlay, which could allow businesses involving asphalt, chemical manufacturing, or other potentially controversial products to be made in the area. Jose Alvarez, a county planner overseeing the advisory committee, said the planning commission or council would have the option of including heavy industrial, and yet banning certain applications of it. “In creating this overlay you do have the option of designing how you want to have those uses within this overlay area,” said Alvarez. Another issue was the option of allowing sewer service to be extended into the overlay area. 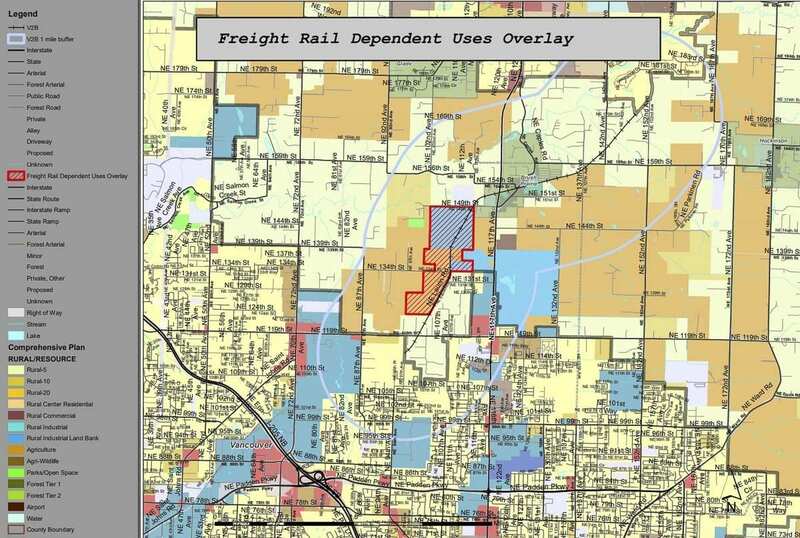 State law says sewer lines are illegal outside of an urban growth boundary, but the legislation approved last year allowing the Freight Rail Dependent zoning overlays seemed to indicate that sewer would be needed. Ultimately the council decided to include sewer as part of their proposal, understanding that the planning commission might ultimately nix it if the prosecuting attorney determines it would violate state law. Councilor John Blom said, at this point, he would be unlikely to vote for anything including heavy industrial. Councilor Jeanne Stewart, who admitted her district wouldn’t be directly impacted by the overlay, said she is having trouble deciding on a direction at this point. The Clark County Planning Commission will now take on the issue, including the first public hearing, before sending their proposal back to the council for final agreement, possibly as early as December.